Odin is a helpful tool for Samsung Galaxy devices to flash a stock firmware. The firmware flashing procedure mostly succeeds, provided, you have the correct TAR file [stock firmware file for Samsung]. However, sometimes you may come across failures and end up with a Fail! message in the Odin log. One such error is the “invalid ext4 image” error that you might encounter while flashing the stock firmware onto your Galaxy device. The Invalid Ext4 Image error that may occur while downgrading the bootloader [or sometimes upgrading as well]. Now, EXT4 (fourth extended file system) is a file format for Linux and as Android is based on Linux kernel, it also uses EXT4 storage infrastructure. The EXT4 error is closely associated with storage partitions on your device, it can be fixed by re-partitioning the internal storage. A very common method to re-partition is flashing the PIT file for your device and firmware. By partitioning storage tables, you are telling Odin that your device is a 16/32/64 GB variant. Hence, all you need to do is download the PIT file for your device and then flash it using Odin along with the full stock firmware. 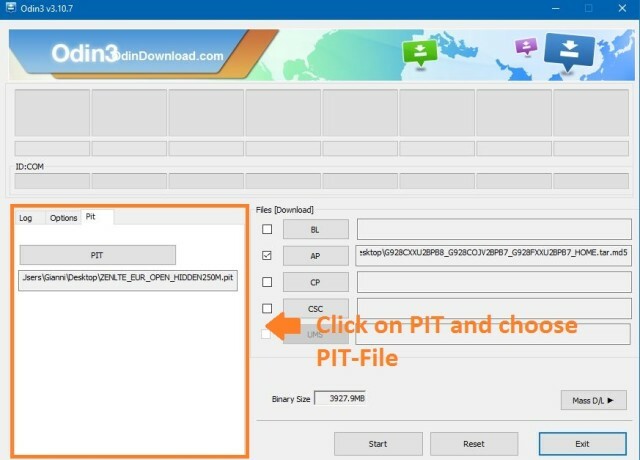 You can download the firmware and extract the PIT files with the tools provided in our tutorial. 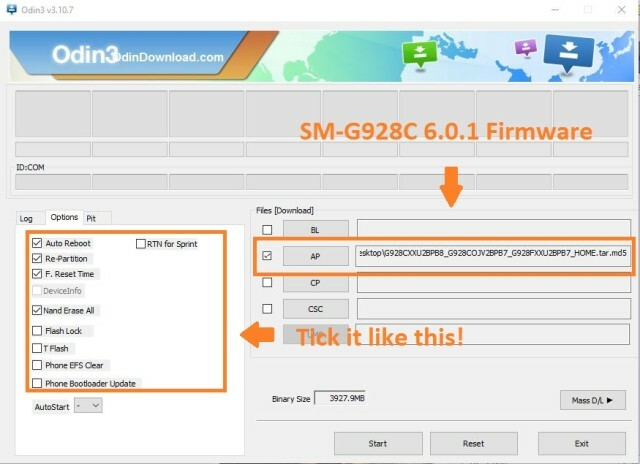 Before you proceed, download the full stock firmware directly from Samsung servers from the download section or search for your device’s firmware file. Also, download or extract the PIT file from your device. Once you have the Odin software, drivers, stock firmware and PIT file, you are good to go. Step 1: Download the listed firmware for your for your Galaxy device. Extract the zip file to get the firmware with .tar or .tar.md5 extension and place at a location where you can easily locate it on your PC. Step 6: Now click on AP button[or PDA for older Odin] and add the firmware file by navigating to the file path. Once added, it should show like in the image. Take care that only Auto Reboot, Re-Partition, F.Reset Time and Nand Erase are selected in the Options tab. Follow and share us on social media. For any help or queries, comment down below.